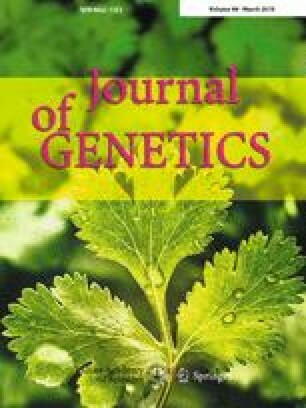 This study evaluates a family with two siblings having severe growth retardation and facial dysmorphism, born to consanguineous normal healthy parents. Affymetrix CytoScan 750K microarray showed a 34-Mb pericentric homozygous region on chromosome 6 for both siblings. CUL7 was one of the 141 genes present in this region. Sanger sequencing of CUL7 gene detected a 2-bp novel deletion in the 15th exon (c.2943_2944delCT of the cDNA). This deletion leads to a frameshift and a premature termination signal much upstream of the wild-type termination signal, leading to a nonsense mediated decay of the mRNA. CUL7 protein plays an important role in formation of 3M complex, ubiquitination, microtubule dynamics and cell cycle regulation. Mutations in CUL7 gene is known to cause a rare 3M syndrome. Information about the novel mutation has been accepted in the ClinVar database with rs1064792895. The online version of this article ( https://doi.org/10.1007/s12041-019-1057-6) contains supplementary material, which is available to authorized users. We thank Dr M. Seshadri former Head, RBHSD; Dr Sangeeta S., pediatrician BARC Hospital and Mr Raut, M.Sc. student.